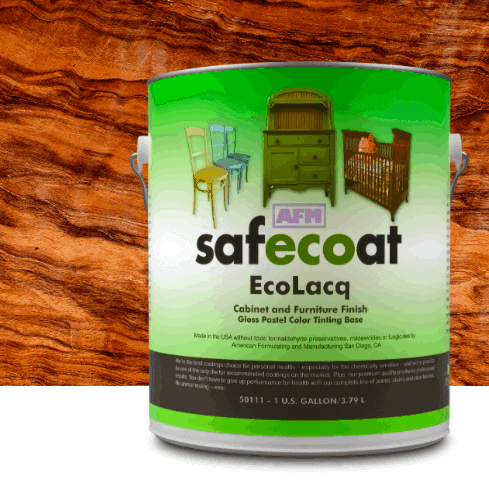 AFM Safecoat EcoLacq is a pigmented, hard and durable high gloss, water-based replacement for high solvent content lacquer. 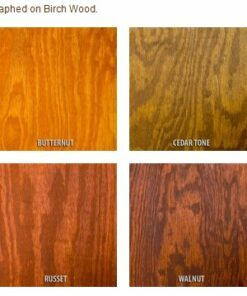 Premium cabinet grade finish. Its very low odor and VOC content has allowed it to be used even in the homes of the chemically sensitive. 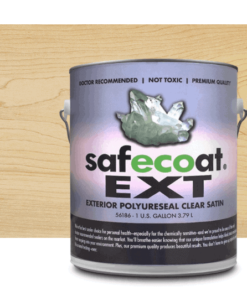 Safecoat EcoLacq seals in outgassing from the substrate, and has superior resistance to stains, marring, and fingerprint marks. 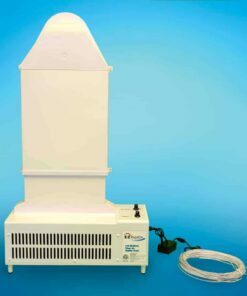 Very low VOC content, meets or exceeds all federal andstate air quality regulations, including California. 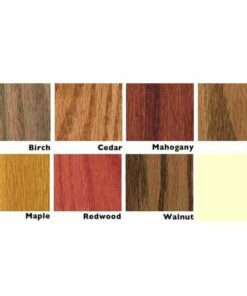 If you choose a color which has a high pigment content (a very dark color) we may be required to charge an extra $4-$6 per unit as an additional tinting charge. We will contact you about the adjustment via email upon receiving the order. 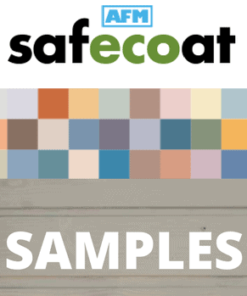 SAMPLES ARE AVAILABLE IN WHITE ONLY. Samples to Canada will incur additional ship charges. See below for detailed application information. Will be sent as pure white if not specified. 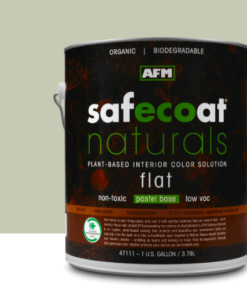 AFM EcoLacq is a pigmented, hard and durable high gloss, water-based replacement for high solvent content lacquer. Its very low odor and VOC content has allowed it to be used even in the homes of the chemically sensitive. 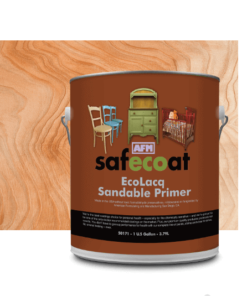 Safecoat EcoLacq seals in outgassing from the substrate, and has superior resistance to stains, marring, and fingerprint marks. 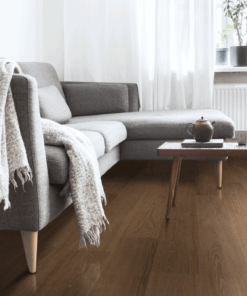 Unfinished (or properly prepared and sanded previously finished) wooden surfaces such as wood cabinetry and doors, paneling, furniture, and wood railings. Always have adequate ventilation. Intermix (boxing) all containers of the same sheen and color to ensure gloss uniformity before applying. 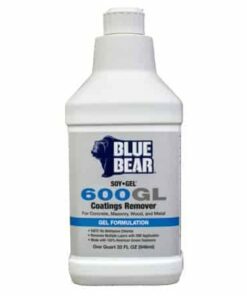 Before using, mix coating thoroughly by gently stirring or rolling container to avoid air bubbles. Be sure to stir product thoroughly every 20 minutes during application. Do not shake container. 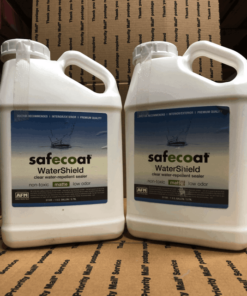 Pour material to be used into another container before applying coating to avoid contaminating main container. Then apply as is, using a quality nylon brush, pad applicator, or unheated spray applicator. Keep a good wet edge and avoid over- brushing. 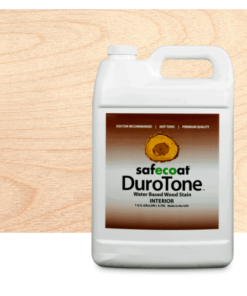 In most cases, a minimum of 2 coats is required, depending on the surface. When spraying, use a .015 tip or smaller. 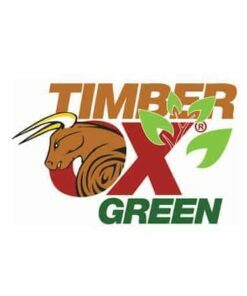 Apply thin even coats when spraying rather than heavy coats which will tend to sag. If spray pattern begins to dryspray, reduce air pressure and increase material flow to surface. 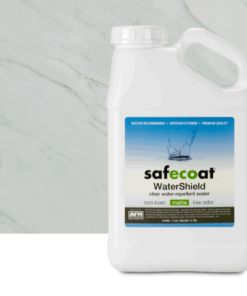 One gallon of AFM Safecoat EcoLacq covers approximately 400 square feet in one coat depending on method of application and surface porosity. 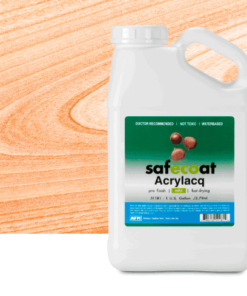 Under normal conditions, AFM Ecolacq dries to touch in one hour, is sandable after 2 – 4 hours, and re-coatable after 4 – 8 hours. The product will continue to cure and become harder over time. Normal conditions include a dry surface, access to fresh airflow, moderate humidity, and temperatures around 70°F. 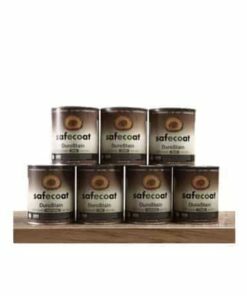 Thick application, high humidity or conditions other than normal will cause Safecoat Ecolacq to dry and cure more slowly.